When a dress code is involved, many of us automatically reach for those uncomfortable high heels that make basic things (like walking and standing) a pretty torturous experience. But thankfully, freedom of choice (at least when it comes to shoes) is still very much a thing. So you can toss the heels, grab your most gorgeous flats and hit the dance floor next time you attend a formal affair. After all, that’s a whole lot better than standing uncomfortably in the corner or having to run around barefoot once the pain is too much. Although these shoes are super stylish, Birdies didn’t want to stop the design process there. In an effort to make these shoes feel as comfortable as they are cute, Birdies uses a seven-layer responsive cushion technology. This provides better arch support while also reducing pressure in the heel. As for the bottoms, the sole is made from nonslip rubber for inside traction and outside wearability. 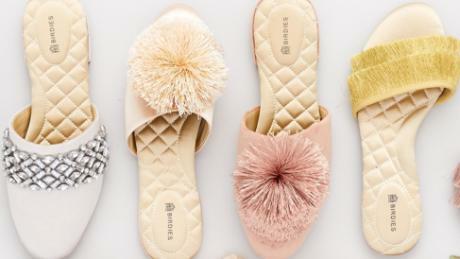 Most recently, Birdies developed a line of bridal shoes — and we are absolutely obsessed. Each dreamy pair in the collection has its own fun, frilly feel that will allow the bride and bridesmaids to dance the night away pain-free. And these shoes can be worn to events that span far beyond weddings. 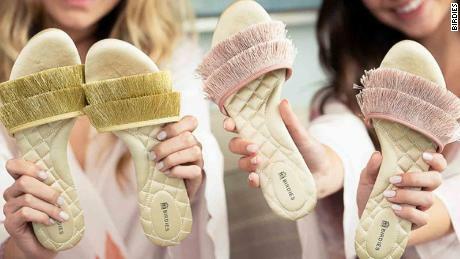 They’re available in six romantic styles and a variety of pink, champagne and golden hues — the perfect pairing to any spring or summer ensemble.